Can Tape Really help with Lower Back Pain, Knee Pain, or Rotator cuff Injuries? In our offices we treat everyone like an athlete. Our goal is to relieve pain syndromes as quickly as possible to get our patients back to loving what they do. We utilizing whatever means necessary including Rocktape. We began taping our patients with Rocktape and immediately we saw a huge improvement in there response. We actually found this to get our patients better faster and keep them better longer. Whether you are a competitive athlete, a weekend athlete or even a corporate athlete, see if rocktape might be able to help your recover more quickly! If you think you might be able to benefit from RockTape, or know someone you think might. Give a call to one of our offices and we’ll be glad to provide you with a free consultation to determine if that’s the case. 50,000 of your cells will die and be replaced with new cells, all while you have been reading this sentence! Our bodies are recreating themselves constantly. We make a new skeleton every 3 months (the same goes for muscle and joint tissue).Your skin is new every five weeks. The skin’s cells multiply every second to replace those worn away. A typical skin cell lives only two weeks. A typical cell in the lining of your stomach lives only a few days. Heart and brain cells apparently last a lifetime without reproducing. The central nervous system is connected to every part of the body by 43 pairs of nerves. Twelve pairs go to and from the brain, with 31 pairs going from the spinal cord. There are nearly 45 miles of nerves running through our bodies. Messages travel along the nerves as electrical impulses. They travel at speeds up to 248 mile per hour. Your body has approximately 14 billion nerve cells and over 100 trillion other cells that provide the communication among and between all parts of the body. The number of interconnections that can be made between each brain cell is equivalent to infinite or the number one followed by 6½ million miles of standard typewritten zeros! A computer working at 400 million calculations per second would, operating for one hundred years, only accomplish what your brain can accomplish in a minute. One human brain generates more electrical impulses in a single day than all of the world’s telephones put together. The tooth is the only part of the human body that can’t repair itself. Everything else, the body can self-repair. The liver is often called the body’s chemical factory. Scientists have counted over 500 different liver functions. Take into consideration all these amazing facts. The ironic part, is that despite all these facts society still thinks that there is something else missing; ie. the body is lacking a chemical, potion, or shot. Our body is an adaptive organism, and extremely intelligent. Take a step towards wellness and begin to let the body express its brilliance through Chiropractic. Call one of our locations to get scheduled for your wellness check up. Tight Hamstrings? Low back Pain ? We wanted to share some helpful tips on how to create more mobility within your exercises. Foam rolling has become a big part of our Rehabilitation program in our offices. Take a quick minute to watch the short video on the 5 best foam roller exercises. Be sure and pass around to your co-workers or family members. If you’re needing help, give either location a call and we’d be glad to assist. Yours in Health, HS of Chattanooga. Relief from back pain is just one aspect of chiropractic care, but it is often how and why patient’s seek out Chiropractors in Chattanooga . Back pain, especially lower back pain, can be horribly debilitating; and if it has been present long enough it can affect your work and personal life. If you are thinking you are the only one suffering from back pain, think again, because you are not alone. Here are a few facts about back pain that may (or may not) surprise you. An overlooked key to proper treatment of back pain is full understanding of the cause. Remember, pain is an indicator that something else is wrong, however if it is continually ignored it can and, most likely, will lead to more serious issues. Chiropractors are experts in assessing the root cause of your back pain and putting you on the right course to recovery. Often times in Chiropractic we make the suggestion “your spine is the window to your health.” Furthermore, people are curious how the condition of your spine can provide so much information about overall health? Let’s remember that your spine is the central support column of your body and its primary role is to protect your spinal cord. The spinal column has a strong resemblance to a foundational frame of a house holding everything together. If the frame begins to shift many problems will begin to manifest themselves. The house begins to develop cracks, shifts, and structural problems. When your spinal foundation shifts out of proper alignment you develop aches, pains, injuries, and other health related issues. The good news is you can do a simple spinal health checklist to determine if you may benefit from the expert intervention of a chiropractor or other healthcare professional. If you become familiar with some simple spinal anatomy terms, structure and overall function it will help empower you to take more control of your health. Lets dissect the spine briefly. Your spine is composed of 24 bones (vertebrae); 7 in the neck (cervical spine), 12 in the middle back (thoracic spine), 5 in the lower back (lumbar spine) and the base tailbone (sacrum). The most important piece of anatomy is your soft spinal cord that’s encased inside these 24 moveable hard vertebrae, being protected from injury. Your spinal column has three natural curvatures making it much stronger and more resilient than a straight design. There are cervical, thoracic, and lumbar curves designed with precise angles for optimum function. Through life’s stresses, trauma, injuries, and neglect the spine can develop dysfunctions in these curvatures and the body must compensate by changing posture as a protective mechanism. Lets identify some of the most common compensations your body develops and what can they tell you about spinal health? Rounded Shoulders : This is a very common postural distortion resulting from more sedentary lifestyles. Hunching over in front of a computer screen hours on end simply feeds this dysfunction. This poor posture pattern adds increased stress to the upper back and neck because the head is improperly positioned relative to the shoulders. Common effects are headaches, shoulder, pain, neck pain and even tingling and numbness in the arms because of nerve compression by tight muscles. It’s important to remember that with these common postural syndromes, it will create abnormal wear and tear on the joints. When you visit a chiropractor for a spinal evaluation some of the things they will search for during your evaluation are underlying signs of spinal damage that you can’t see. Spinal x-rays are the best way to get a look at your spine to determine damage or potential problems. If problems are detected, corrective or preventive measures can be implemented to help your body function at optimum. Here is a list of spinal damage problems that can be managed effectively with Chiropractic Care. Degenerative Disc Disease (DDD) : This is not a real disease in the terms of how we think of them. DDD is term used to describe degeneration and excessive wear on the soft tissue disc structures between the spinal bones. Although the degeneration cannot be reversed, once discovered there are strategies your chiropractor can implement rebalancing exercises and therapies to help prevent further damage. Herniated disc: A herniated disc is an abnormal bulge or breaking open of a protective spinal disc or cushioning between spinal bones. Patient’s may or may not experience symptoms with a herniated disc. If you experience neck pain or spinal pain, tingling, numbness, weakness, muscles spasms or swelling near your spine or arms and legs consult a healthcare professional. These are all warning signal signs from your body telling you that you are in a crisis situation and your body needs attention. Pain is how your body communicates its function with you, and is the last symptom to become present. A car has dashboard warning lights that tell you when the car has a problem. If you chose to ignore the signals bad things are going to happen. Your body has its own warning light system. Start checking for the warning lights. Ignore them at your own risk. 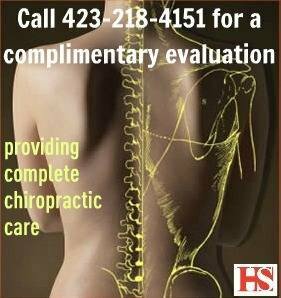 See our chiropractor for a proper assessment and any concerns.